Unit 6 in my new writing curriculum is here! 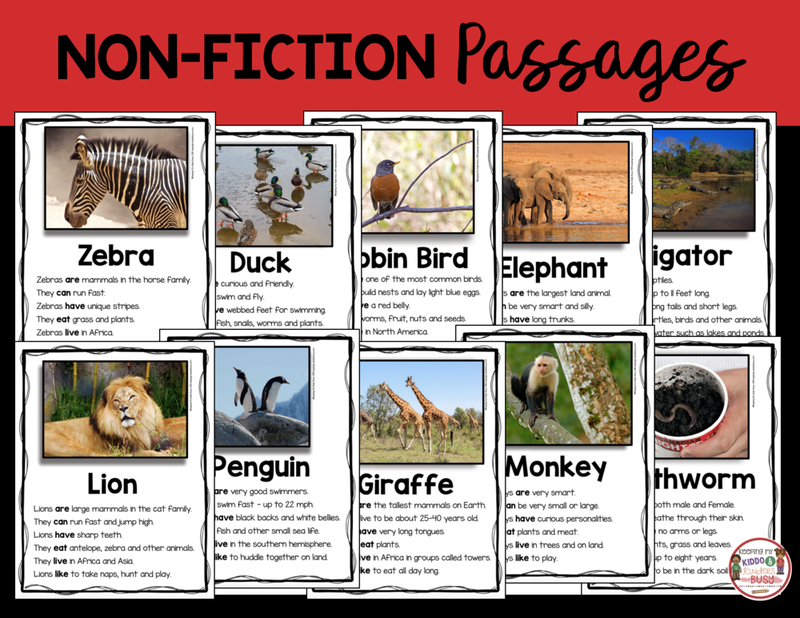 This is the perfect way to introduce students to what non-fiction writing is. This unit is so engaging for students because it uses real life photographs and animals. We discuss how exciting it is to write and learn about the real world around us. This poster comes as a regular 8.5x11 PDF file as well as a jumbo 16x20 JPG file that can be uploaded to a photo center for printing. I start by introducing students to this Non-Fiction Anchor Chart Poster. We discuss the real-life objects and what a fact is. By the end of this unit, these have all become sight words for students. I like to use these in small group settings. I read the passage first, then we choral read and then I have students practice reading them to a partner. Then we discuss the facts and practice filling in our graphic organizer. Both color and BW graphic organizers are included! You can laminate and use the color version in a center or as the teacher copy. Students can then practice taking their graphic organizers and turning their notes into their own complete sentences. Or they can also take their notes/sentences and then make “All About” Books. We love making these adorable, mini books! Students are proud of all that they have learned and written. They can’t wait to take these home and read them to their families. I have them write one sentence per page so they can illustrate the fact/sentence. 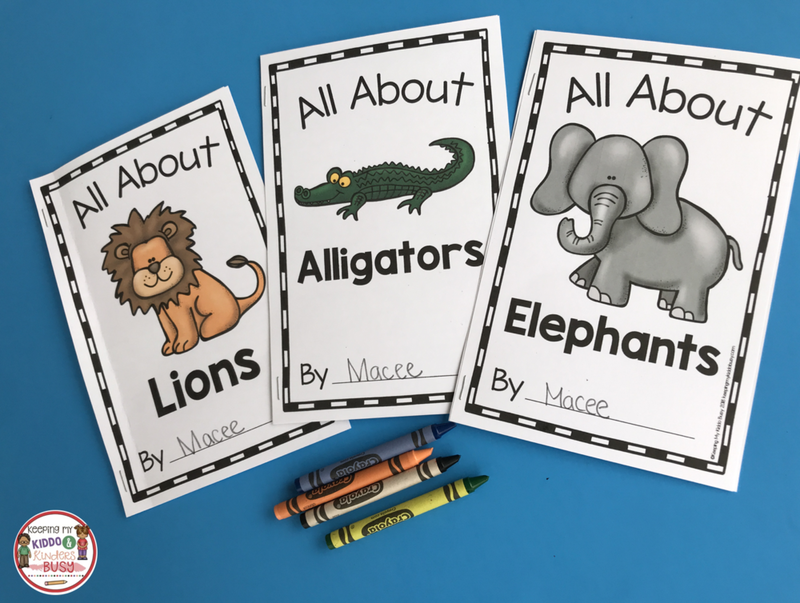 Another fun way to show off all they have learned about each animal is to make these adorable “Craft Facts” craftivities. Students can color, paint or even glue adornments to these cute animals to make them come alive. Display in your hallway or on a bulletin board to show off all that your students have learned! 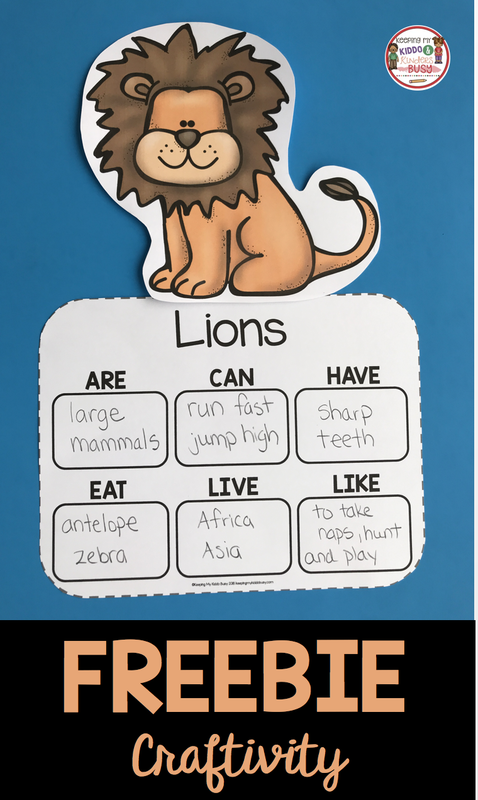 So many ways to practice non-fiction writing on a level that is doable for kinders, first or second graders. This unit provides the scaffolding and support students need to be successful, confident writers. I added this adorable Lion Craftivity to our EXCLUSIVE FREEBIE LIBRARY! Ready to get started with this Non-Fiction Writing Unit?! Need more writing ideas for your primary students?